Are you looking for that one wedding novelty that will completely wow your guests? 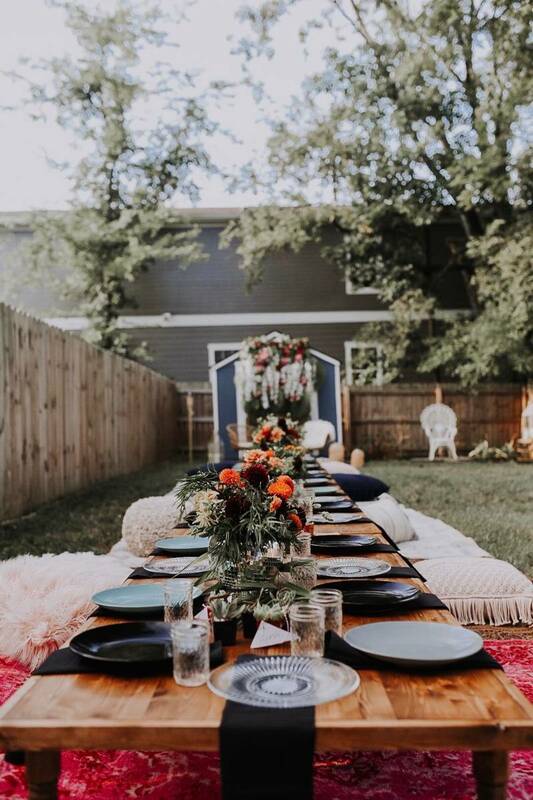 Well you are in luck because today I have not one, not two, but THREE incredible wedding wow factors to share with you... and they are all MOBILE! 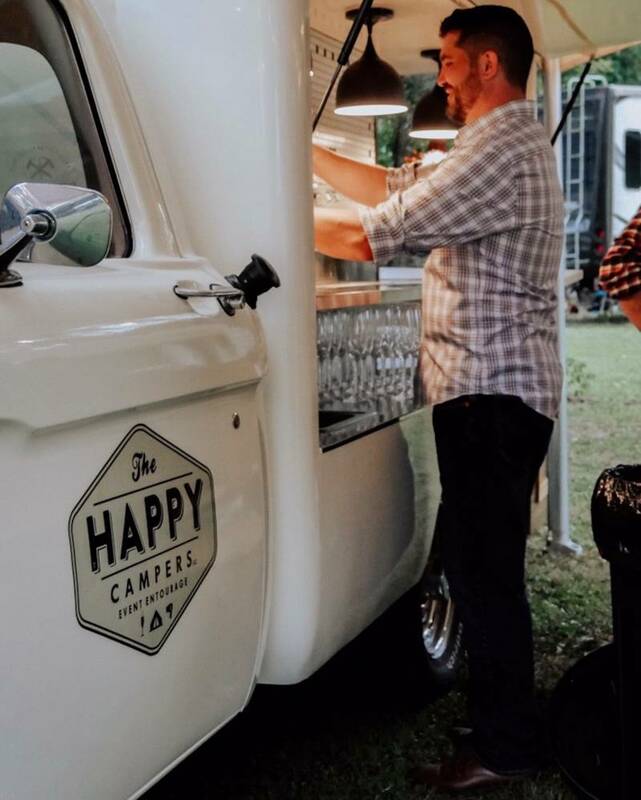 Yes, The Happy Campers has three amazing mobile wedding experiences - Birdie, The Bubble Bar + Blanche. 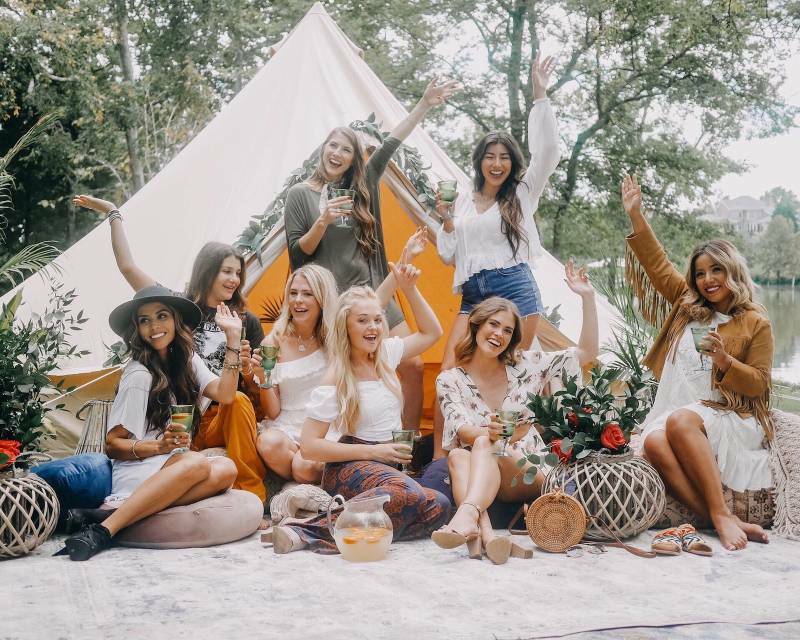 Birdie tents can bring a loungey boho vibe, the camper The Bubble Bar is an actual champagne truck, and Blanche is a mobile hair + makeup salon experience! Wow, just wow. You can't go wrong choosing any of these mobile wedding experiences! I'm so glad owner Caity and her family have brought this to Nashville! Check out our interview with her below! Tell us about The Happy Campers + how long you've been in business? Caity: The Happy Campers is Nashville's first Event Entourage company. 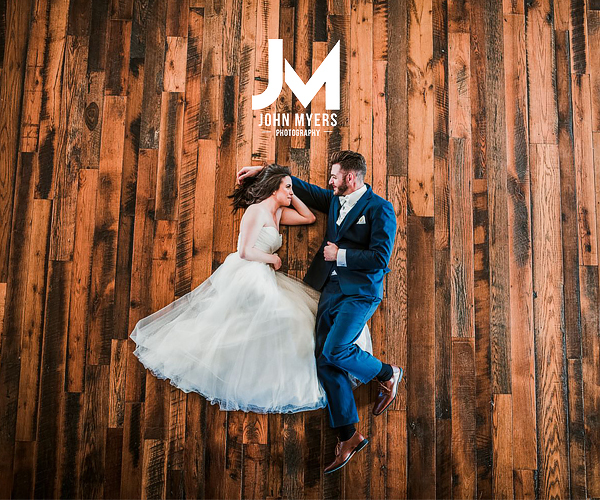 We wanted to create a company that went above the norm and wanted to push the limits of what other wedding and event companies were providing. We strongly believe that the presentation of services and having that WOW factor is just as important as making sure that things are as easy as possible for our client. Each of our Campers provides a simple, stress-free solution for our clients while also wowing their guests with something new and different that they haven't seen before. We are a women-lead, family-owned business. We are California natives who moved to Nashville as a family about 4 years ago. For years we talked about starting a business together but last year was when we really decided to take action on making the dream a reality. It took some time to get everything up and running (building a champagne truck was a long process, go figure!) and we officially launched in October of 2018. 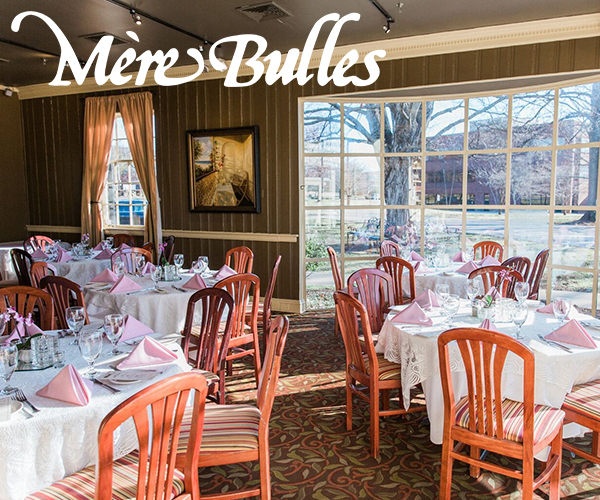 We may be new to the Nashville scene but each member of the family has a long history in the hospitality world and extensive experience in each of our fields. That's what helped us build a strong foundation in which the company has grown on. Caity: We have always been an event focused family and each individual member of the family has an extensive background in the hospitality world. Our mom, Kimberly, was a chef for many years. Our parents were always the ones hosting family holidays, neighborhood parties and legendary theme parties for us as kids. My sister, Jaime and her fiancé Hobie, are bartenders on Broadway so they are well-versed in the world of events. Personally, I have been in the event industry for eight years. I have done everything from venue management to event catering to planning. So going into the wedding business was not a far jump for any of us! What is the philosophy behind The Happy Campers? Caity: I think it's hard to say that a company only has one philosophy in which it is built upon. We believe in and strive for a lot of things. But at the end of the day The Happy Campers believes in helping our clients put on one heck of an event! Our Campers were designed to impress and go above and beyond. 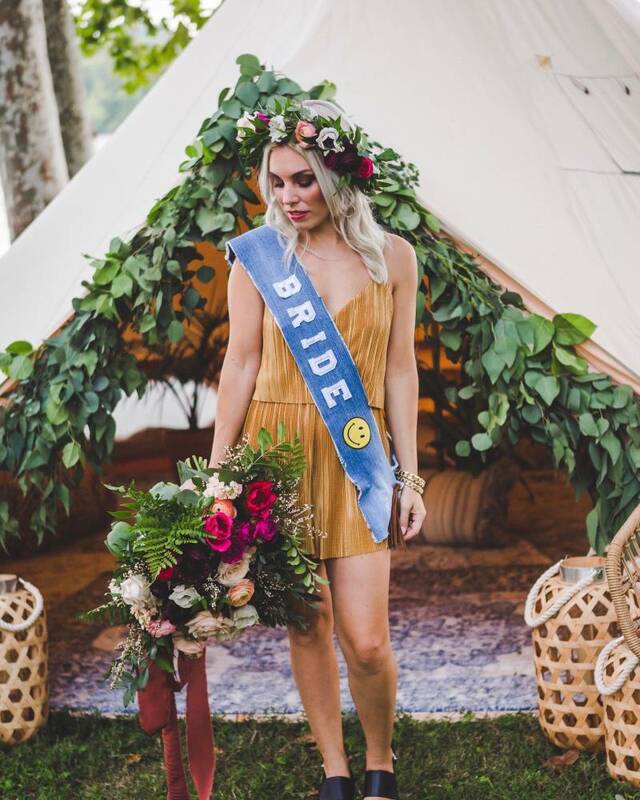 Weddings are meant to be memorable and we built our Campers to help make that happen. Our philosophy is that weddings shouldn't have to be stressful or overwhelming. Whether it's during the planning process or the actual big day itself, we want to provide our clients with solutions that not only serve a need but also raise the bar. Your wedding day is meant to be enjoyed and cherished. Let us take the stress away and let's do it in style! What are your strengths compared to other mobile event companies? Caity: Where we thrive compared to others, is our diversity. 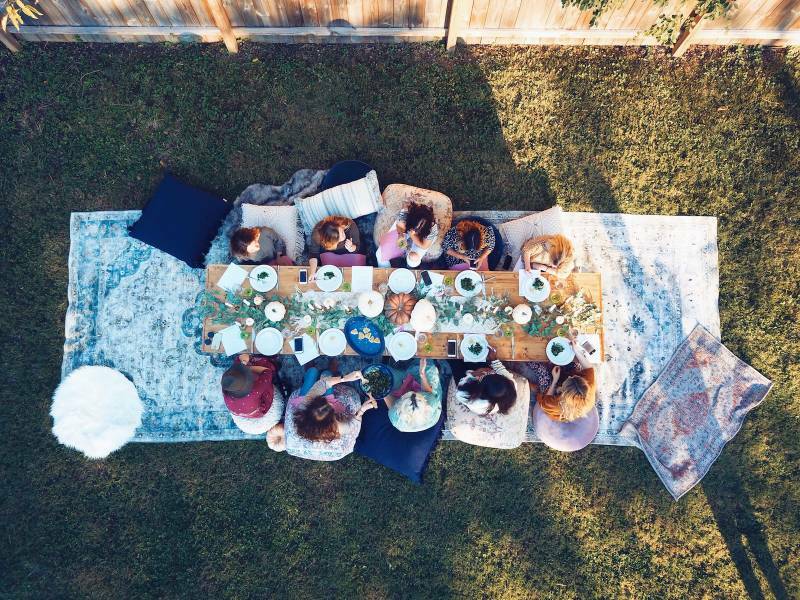 As a team, we have an expert in literally every category of event planning. We can look at your wedding as a whole and make sure that our specific part of your day falls seamlessly within the rest. We don't just specialize in one thing, we specialize in the experience as a whole. With six of us in the family, we all have different styles and strengths that we can use to relate to any client and their style. We have Jaime who is trendy and bold while I'm a little more classic and timeless. We've got three men and three women so the guys are well represented as well! Overall, we are who are clients are and I think that is what makes us so successful. What attracts couples to The Happy Campers? Caity: Being California natives, we have a certain vibe and I think that really shows in our business. The way we style and design our events and the items we have chosen to launch have been intentional choices. Each one given a special personality. Our goal was to blend the sweet southern charm of Nashville with a cool coastal vibe of the west coast. The Bubble Bar is charming and classic. Birdie our Bell Tent is a boho wildflower (if that's even a thing! We think it is haha). We don't have a specific client or perfect couple because our Campers can very easily form to fit any style, decor, or event. We just need clients who are creative and like to create something beautiful. That's where we fit in the best! 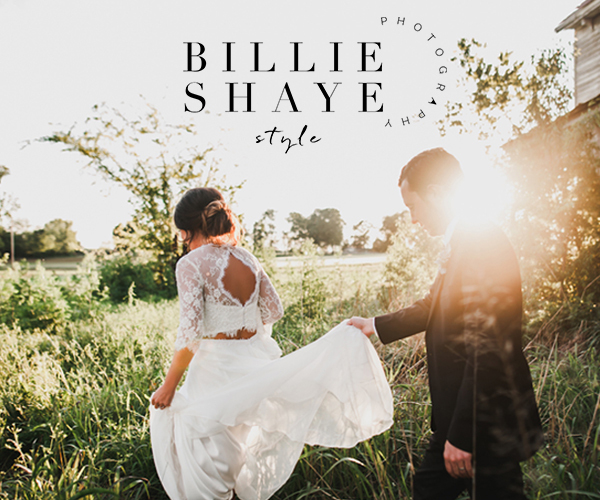 What are some innovative trends you're seeing in the wedding industry as of late! Caity: In all honesty, I think every product we have is the most innovative! Nashville has never seen a champagne truck which is what makes us so special. The Bubble Bar can serve champagne, wine, beer, carbonated craft cocktails and non-alcoholic beverages. It can really serve anything and everything! But a vintage 65' Ford truck is not your typical bartender and that is what makes it so fun. Mobile bartending is nothing new to Nashville but how we've decided to present our services to our community is! 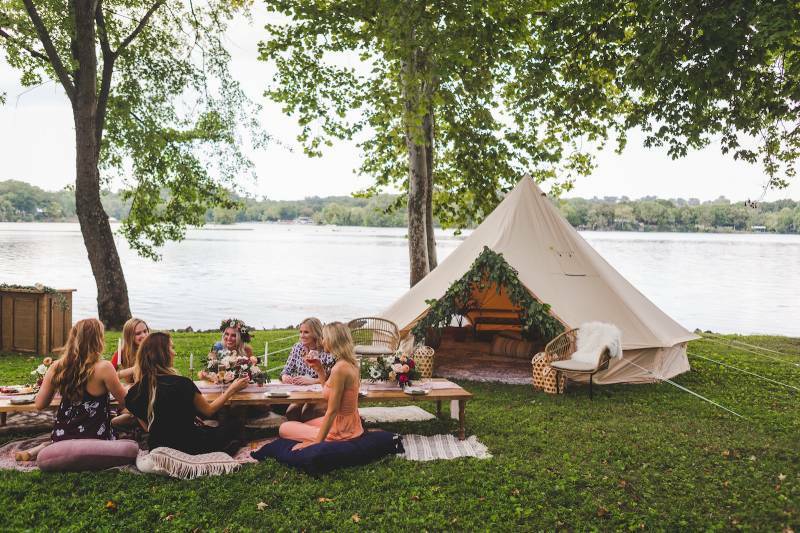 Birdie our bell tents are also the first of its kind in this area and it has been an absolute blast bringing new trends and products to Nashville's unique event scene. 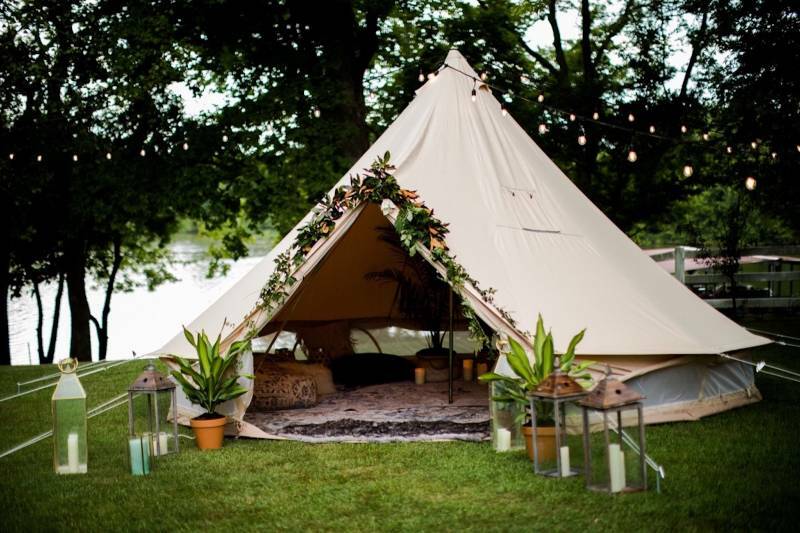 People have really fallen in love with the bell tents' unique look and we have enjoyed seeing how the tents are being incorporated into events. Is there anything else you'd like to share about The Happy Campers? Caity: What we hope everyone knows from us is that we're a family and we will treat you like family. 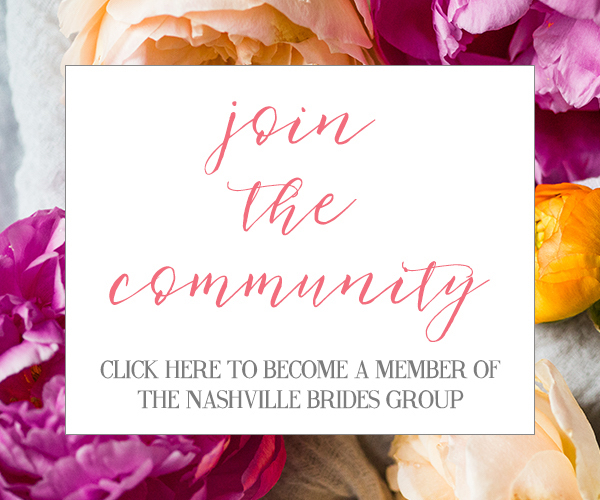 We can chat over coffee, we can sip champagne with you during a stressful time, we can text at 2am if you find a great Pinterest find! We're here for you! We just want it to be an enjoyable time and the best day of your life. And if we can help create that for you then we will be honored to join that journey with you. We want everyone to be a happy camper. Caity! Thank you so much for sharing all about your mobile wedding experiences! You can check out more HERE on The Happy Campers. And be sure to follow them over on Instagram!